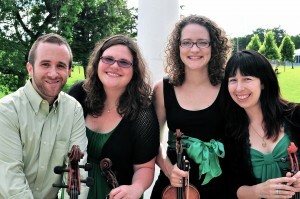 From left to right: Valerie Little (viola), Huldah Niles (violin), Jeffrey Erbland (cello), and Erika Hoogeveen (violin). Today’s Saturday Spotlight shines on the Mill City String Quartet, a classical music ensemble that has been making music across the State of Minnesota since 2007. Last season, the ensemble was a 2014-15 Artist-in-Residence in Minnesota Public Radio’s Class Notes program; for the past five years, music from their Christmas in Mill City album has been featured on MPR. The Twin Cities Arts Reader caught up with violinists Huldah Niles and Erika Hoogeveen, violist Valerie Little, and cellist Jeffrey Erbland as the ensemble was preparing for its performance tour in Florida next month. How did the four of you meet? MCSQ: Three of the founding members – Angela Hanson, Erika Hoogeveen, and Huldah Niles – went to the University of Minnesota at the same time. We were adamant about our desire to perform chamber music and wanted to continue to do so beyond our schooling years. We connected with the founding cellist, John Eadie, through our work in the Minnesota Opera Orchestra [At the time, John Eadie was MOO’s principal cellist; he is currently a cellist in the Kansas City Orchestra]. All of the current members of the Mill City String Quartet are University of Minnesota Alumni and overlapped in our years there. Huldah and Erika studied violin with Sally O’Reilly, Valerie studied viola with Korey Konkol, and Jeff studied cello with Tanya Remenikova. What chain of events led to your forming a string quartet together? MCSQ: Our quartet began and continues because we feel deeply passionate about the need for live chamber music concerts to thrive in our society. That is why we offer free concerts. We want live chamber music to be accessible to everyone. There is something so rare and special about the connections you feel with an audience at a performance. So many audience members come up to us after concerts and tell us how moving it is to hear these chamber music masterpieces come to life – it’s different than a recording. When you witness a live concert, you can feel the vibrations and the passion of the musicians pour over you. Plus, it is amazing when you stop and think about how long chamber music has been around. We are the stewards for chamber music of our generation and we hope it carries on forever. What’s your decision process like for picking repertoire? We find that concerts with a theme give us a better way to connect with our audience and give our program notes better context. What’s one performance that you’re particularly excited about this season and why? Read Kevin Puts’ full remarks about Credo here. 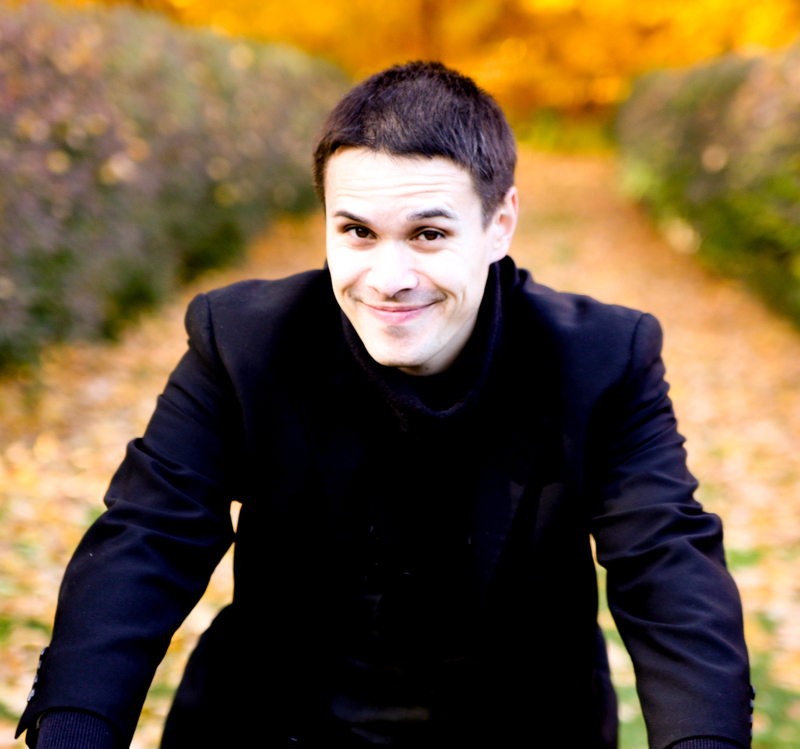 We’ve included on our final program of the year, “Made in Minnesota.” Kevin Puts is not a Minnesotan composer, per se, but he is very involved with our classical music scene. He is now returning for his second year as Director of Minnesota Orchestra’s Composer Institute, and Minnesota Opera audience will remember him from his Pulitzer Prize winning Silent Night and more recently, The Manchurian Candidate. To me, it is a piece that so clearly sounds “American” in contemporary times, and I delighted to introduce this piece to our audiences. If you were able to give a piece of advice to a younger you, what would it be? On a personal-development level, music of all genres has the ability to motivate the growth of human qualities that can be easily viewed as hard-to-reach or intangible. These include qualities like dedication, exploration, self-confidence, and creativity. Putting this all together, having many inspirational experiences as a formidable kid has endless potential to affect the young person’s mind and soul. We as a quartet believe this to the core and, because of it, view each concert as less of a performance and more of an opportunity to share something that we find inspiring. Personally, I am very grateful for these types of experiences that I had in my younger years, and realize that having more of them would have only benefited me.